Builders Service Company has proudly been serving the area of Whidbey Island, WA since 1974. We are family owned and locally operated business that specializes in window replacement and installation services. We have set exceptional standards for quality of our products and services. Builders Service Company offers the highest level of installation services for your house windows project. We go a step ahead to offer energy-efficient and economically priced windows for your home. From the initial purchase and windows installation, to many years later, you will find Builders Service Company in Whidbey Island, WA ready and willing to serve you. Casement replacement windows are very easy to operate. They are considered as a popular alternative for other vertical window openings. Casement home windows open wide enough to reach both the inside and outside, thereby making them easy and simple to clean from your home's interior. Casement window features low profile cranks for an alluring interior window, together with an incredible exterior architectural molding for exemplary style. Builders Service Company does not confuse you with energy efficient yet high cost house windows. In-fact, we offer economically priced casement windows which are best for your home. Besides casement windows, you can also consider bay, bow and garden windows. These are also very easy to install besides being easy on your pockets. Why Choose Builders Service Company in Whidbey Island? 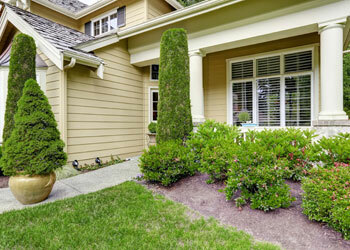 Builders Service Company has nearly 35 years of experience in replacing and installing windows in Whidbey Island, WA. We are known as the leading option for your home improvement project. Call Builders Service Company at (360) 350-3668 today. We will tell you how energy-efficient house windows can help you enjoy a warm and comfortable home along with reduced energy bills.